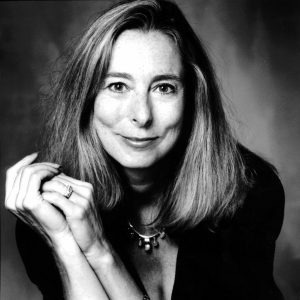 Anne Beattie, below, has been named the winner of the annual $30,000 Rea Award for the Short Story. Ms. Beattie, who has published eight collections of short stories, including The Burning House and the recent Follies: New Stories (Scribner), writes narratives that “explore the way men and women struggle with new emotional territory, the gray areas of love and vulnerability,” the judges said. The award was established in 1986 by Michael M. Rea, a passionate reader and collector of short stories. Previous winners include Cynthia Ozick, Donald Barthelme, Tobias Wolff, Joyce Carol Oates, Grace Paley, Alice Munro and Mavis Gallant. Ms. Beattie, who is also the author os seven novels is the Edgar Allen Boe Professor of English and Creative Writing at the University of Virginia. Charlottesville novelist Ann Beattie Joins the ranks of Eudora Welty, Richard Ford and Joyce Carol Oates as a winner of the Rea Award for the Short Story. When Michael Moorhead Rea picked up the telephone to make the call, he probably was feeling the same sort of joy and anticipation he often experienced when starting to read a new short story. Rea’s wife, Elizabeth Richebourg Rea, listened in on an extension phone as he dialed Cynthia Ozick’s number. When the connection was made Michael Rea happily informed the well-known author that she was the first recipient of the Rea Award for the Short Story. “I’ll never forget when Michael got her on the phone,” Elizabeth Rea said as she thought back to the event in 1986. “She has this very wonderful, high-pitched voice. The founder of the award died in 1996. Since then, Elizabeth Rea has had the pleasure of making the annual telephone call to the award winner. On Sept. 23, there was a slight turnabout in the tradition when the 2005 winner, Ann Beattie, called Rea. Beattie had just returned to her Maine home from a reading engagement in Michigan. Her husband, nationally renowned painter Lincoln Perry, gave her a couple of phone messages, one of which was from Rea. “Call anytime until midnight,” the message read. “I had it in my mind that the award was given in the spring,” said Beattie, who lives in Charlottesville part of the year when she teaches a course on contemporary American short stories at the University of Virginia. She is the Edgar Allan Poe professor of English and creative writing. “In that people don’t know who the nominees are, I have to admit that sometimes word leaks out. No word had gotten to me. The award is accompanied by a $30,000 check. The money, certainly makes for a satisfying payday, but the prestige of being ranked among some of the finest writers in the land is an honor that transcends monetary worth. “This is an award· given exclusively for the short story, and I must say that is the form dearest to my heart, because that’s what I started out writing,” said. Beattie, who has published nine books of short stories and seven novels. Past recipients of the award include Eudora Welty, Richard Ford and Joyce Carol Oates. Rea said she was particularly pleased when Beattie, who has served as a juror for the award, got the nod. “Ann had known Michael, which makes this very special,” Rea said during a recent telephone interview from her home in Connecticut. “And she has made great contributions to the short story. “From day one when Michael started this, I began reading short stories and have always loved Ann’s. To me her stories speak to the reality of our daily lives. Back when Michael Rea was formulating the aims of the award, he had a moment of inspiration while dining out with his wife. He wrote the thought down on a piece of paper napkin that then went into his wallet for future reference. In the note to himself he wrote that he wanted the award to be given to writers who had made a significant contributions to the discipline of the short story as an art form. It wasn’t to be a lifetime achievement award for a body of work. Among the criteria Rea established was that a writer must have published at least one short story in the previous four years. Even one story can qualify a writer for consideration. The founder, and now his widow, selects three jurors each year. Each of the jurors then nominates two writers. During the summer months, they read short stories by the nominees and then come together for a single meeting to choose the winner. Originally, the award was announced in the spring, which explains why Beattie’s timetable was thrown off by several months. Rea explained that the winners are now announced in late September, because the required reading is easier to do during the summer. Rea credits her late husband’s love of the written word, at least partially, to his Irish roots. She said he was particularly fond of the short story, because, he , liked the idea of being able to read an entire story in one sitting. When Rea entered UVa after serving with the Marines in the North China Theater during World War II, he pursued a degree in English. After receiving his degree in 1952, he returned to Pittsburgh, where he became vice president of a real estate firm. Rea was active throughout the 1970s in real estate in the D.C. area. He also founded Harrea Broadcasting Inc., which owned and operated radio stations in Maryland and Pennsylvania. When Rea started musing about creating an award to promote short story writing, the genre was finding fewer and fewer outlets. He felt the literary form that gave the world . such classic yarns as Edgar Allan Poe’s The Tell-Tale Heart and Ernest Hemingway’s “The Snows of Kilimanjaro” needed some bucking up. “Michael wanted to encourage the writing of short stories, so that was the impetus behind the award,” Rea said. “He wanted to further that in writers, because so many writers are pressured to go to novels, usually by their publishers. “I’m really happy, and I know that he would be, that Ann won and round· out the picture of the beautiful list of writers who have won so far. This is an emotional thing for me every year, because I feel the presence of my husband, who cared so deeply about this award. “I feel every year that he’s behind what I’m doing and supporting me. At one point he had thought that I wouldn’t want to do all this work when he was gone, and that we should think of a place to house the award. Beattie feels the short story is more of an endangered species today than it was when Rea founded the award. She said the number of magazines, such as the New Yorker that started publishing her short stories in the early 1970s, continues to dwindle. The best-selling writer said readers who love short stories subscribe to publications like The New Yorker, Yale Review, New Paris Review and Ploughshares, which is published by Emerson College in Boston. Aside from these and a handful of other literary beacons, she sees the future of the venerable form as gloomy at best. “If you look at the facts and figures in terms of who is reading what, the demographics indicate that except for short story collections that are first­time books, the sales are worse and worse. “The media and the publishing industry has been all over this for years wondering aloud what it’s all about. But people are going to other sources for stories now. Beattie, who was born and raised in the D.C. area, majored in English at American University and received a master’s in English literature from the University of Connecticut. Her first job out of graduate school brought her to Charlottesville to teach at UVa in 1975. Beattie, 58 already had attracted considerable attention for her short stories when she arrived at the university. Her first published short story, A Rose for Judy Garland’s Casket, appeared in the Western Humanities Review in 1972. The following year another stories garnered a first-place award from Atlantic Monthly. She soon became a regular contributor to The New Yorker. In 1976 Beattie’s first book of short stories, Distortions, was published. That same year her debut novel, Chilly Scenes of Winter, reached store bookshelves and later was made a movie. Since launching her literary career, Beattie has received many honors for her work. Included among these are the award in literature from the American Academy of Arts and Letters, a Guggenheim Fellowship and the PEN/Malamud Award for Excellence in Short Fiction. Beattie often has been called, never by herself, a spokesperson for her generation. She sees herself as more of a human sensor who picks up on things happening in the culture, and then tries to illuminate them through fiction. Beattie credits The New Yorker for giving her the kind of high visibility and national exposure that helped advance her writing career. Of course, it was her compelling prose that made readers remember her name and want to read more of her work. Some of Beattie’s most recent writing appears in the just released book Lincoln Perry’s Charlottesville. The coffee-table book showcases her husband’s paintings, which include the 11-panel mural The Student’s Progress in the lobby of UVa’s Old Cabell Hall. Perry, considered one of America’s foremost figure artists, said the book was as much a surprise for him as the Rea Award had been for his wife. “I’m not quite sure how the book came about,” Perry said. “I had a show at Les Yeux du Monde here in Charlottesville, and people thought it would make a good book for the University of Virginia Press to do. The 112-page book is replete with 160 color illustrations of Perry’s work. The New York-born painter started his professional career doing abstract paintings, but in the 1960s he changed course. After she wrote the introduction for the book, Beattie said, she thought readers would be interested to learn something about working large scale as her husband does. Although Perry and Beattie work in different art forms, he feels when it comes to the essence of what they do there’s one poignant similarity. Although both husband and wife are in the business of creating, Beattie said there is little each can do for the other in terms of their work other than give encouragement and moral support. “It was very much a surprise,” Beattie says of her award. That the award is given for artistic merit is also very gratifying. “It’s very nice when someone takes notice,” she says. Nice not just for herself, she points out, but also for those who’ve supported her over the years, like her editors and publishers. Beattie has eight collections of short stories to her credit, including Park City, What Was Mine, Where You’ll Find Me and The Burning House. She is also the author of seven novels including The Doctor’s House, Another You and Picturing Will. Beattie has received other awards including the Award in Literature from the American Academy of Arts and Letters and the PEN/Malamud Award for Excellence in Short Fiction. She is the Edgar Allen Poe Professor of English and Creative Writing at the University of Virginia. Even with all her credentials, Beattie says she finds it harder to publish her short stories now than she did 20 or so years ago. “Publishers’ point that the problem is in marketing short stories,” she explain. The lack of prominence for short stories in the literary market “is not a judgment on the form,” she asserts. Other author who have received the Rea Award include Tobias Wolff, Joyce Carol Oates, Eudora Welty, Richard Ford, Andre Dubus and Alice Munro. WASHINGION—Writer Ann Beattie is this year’s winner of the Rea Award for the Short Story, it was announced Wednesday—but that’s the end of this narrative, not the beginning. This is a rich, poignant tale that demands the proper context, and for that, one needs to go back in time. With that in mind, Mr. Rea endowed this annual prize of $30,000, establishing the Dungannon Foundation, named for his paternal hometown in Northern Ireland, to administer the award in a subtle homage to the origins of his deep love of well-crafted words. Mrs. Rea was equally pleased by the selection, commenting, “I have always loved her writing because … I just enjoy her making characters so much like us, like we really are.” With her selection, Ms. Beattie fins herself in illustrious company. Former Rea Award winners include Tobias Wolff, Joyce Carol Oates, Andre Dubus and Alice Munro. Another Karp protégé, native Washingtonian, American University alumna and novelist (Vermont and Weekend) Ann Beattie (CAS ’69) the Edgar Allen Poe professor of English and creative writing at the university of Virginia, just won the coveted $30,000 Rea Award, which was established in 1986 by Michael M. Rea, a publisher and collector of first-edition short stories. Previous short story winners include Joyce Carol Oates, Richard Ford and Canadian writer Alice Munro.